THE SUPREME COURT has cleared the way for the extradition to the United States of a Wicklow man, alleged to be an administrator of the Silk Road website which dealt with illegal drugs and hacking software. Gary Davis of Johnstown Court, Kilpedder, Co Wicklow will now face trial in the US on charges including conspiracy to distribute narcotics, conspiracy to commit computer hacking and conspiracy to commit money laundering. He had opposed his extradition on grounds including that he suffers from a form of autism known as Asperger’s Syndrome. If convicted in the US, Davis could receive a life sentence. This morning, in what was a unanimous decision, the five-judge court comprised of Justice Donal O’Donnell, Justice William McKechnie, Justice John MacMenamin, Justice Elizabeth Dunne and Justice Iseult O’Malley dismissed his appeal aimed at preventing his extradition to the US. Giving the court’s decision Justice McKechnie said the court was satisfied that Davis had not established that there was a real risk that his fundamental rights would be infringed if extradited to the US. The court had been asked to consider several points of general public importance including in the context of an extradition hearing if the state is constitutionally obliged to protect vulnerable persons suffering from mental illness, and in what circumstances under that duty should an extradition request be refused. It was also asked that if Davis’s condition was so severe that he should not be extradited to the US. The judge said there is a constitutional obligation on the State to protect all persons in the context of an extradition application, and not just those suffering from mental illnesses. It was for the person whose extradition is sought to establish that there are substantive grounds for believing that if extradited there is a real risk of being subjected to degrading behaviour. Having reviewed all the evidence Davis had not demonstrated such a risk. The judge said Davis’ case differed from a UK decision where a British Court had refused to extradite Lauri Love who was wanted in the US to stand trial for a series of alleged cyber attacks. The court said that in the case of Love, who also suffers from Asperger’s Syndrome, the evidence was much stronger in regards to the effect on his mental health and the risk of suicide if extradited. This contrasted to Davis’ case where there had been an absence of evidence that Davis had undergone treatment or counselling in regards to his depression or anxiety nor attending at specialists for therapy for his Asperger’s Syndrome. The judge added that Davis had failed to show any error in law made by the High Court in this case. Davis was present in court for the decision. The court granted his lawyers a 48-hour stay on his surrender to allow his lawyers to advise him on the judgement and to consider a possible referral of the case to the European Court of Human Rights. Members of his family were visibly upset after the court delivered its judgment. Davis’ extradition was ordered by the High Court 2016 and in March 2017 his appeal against that order was dismissed by the Court of Appeal. Davis claimed that if extradited he will be detained in an inhumane and degrading manner in a US detention centre and in breach of his rights under the Irish Constitution and the European Convention on Human Rights to bodily integrity and his right to life. It was also claimed there was evidence that Davis’ mental condition would deteriorate, including that he may become suicidal if held at a US facility where he would have no assurances about what treatment would be available to him. If detained in the US for a lengthy period Davis, who has a high dependency on his family, would very limited access to his family members. Given his condition, this would also have a detrimental effect on Davis’ mental health it was also argued. The Attorney General opposed the appeal and argued there is nothing to prevent Davis’ extradition to the US, which was sought in 2014. The US authorities claim Davis was an administrator of the Silk Road website using the pseudonym Libertas between June 2013 and October 2013. Davis had an “explicit knowledge of the items for sale on the website” they also allege. The website is said to have facilitated the sale of illicit drugs including cocaine, crack cocaine, crystal meth and hacking software. 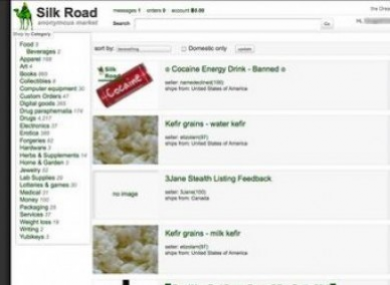 Launched in 2011 it was run by American Ross William Ulbricht under the pseudonym Dread Pirate Roberts (DPR). It offered anonymity to its users and trades were conducted in bitcoins. Ulbricht was arrested and charged following an investigation by the US authorities and subsequently sentenced to life imprisonment. Davis’ alleged involvement was identified from information extracted from Ulbricht’s computers following his arrest by the FBI. Email “Supreme Court clears the way for extradition of Wicklow man accused of helping run Silk Road website”. Feedback on “Supreme Court clears the way for extradition of Wicklow man accused of helping run Silk Road website”.